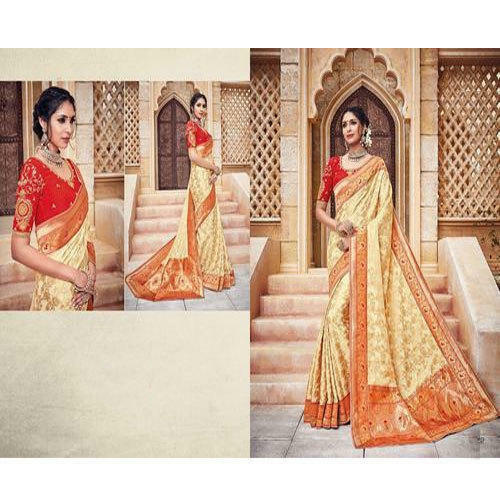 Keeping the diverse requirements of the customers in mind, our company is involved in offering a superb quality range of Fancy Party Wear Saree. We “NITA FASHIONS” are engaged in trading and wholesaling a high-quality assortment of Ladies Sarees, Ladies Suit Dress Material,KURTIS,DESIGNER WEAR,LEGGINGS,NON CATALOG DRESS MATERIAL,PARTY WEAR SAREES etc. The range’s making involves the utilization of the finest fabrics and modern equipment, following the set industry norms and guidelines. Owing to this, the product’s finishing, elegance, resistance to shrinkage and colorfastness, is widely praised. Further, the offered range is marked at the most reasonable rate possible. We are a Sole Proprietorship company that is established in the year 2014 at BANGALORE (KARNATAKA, India).